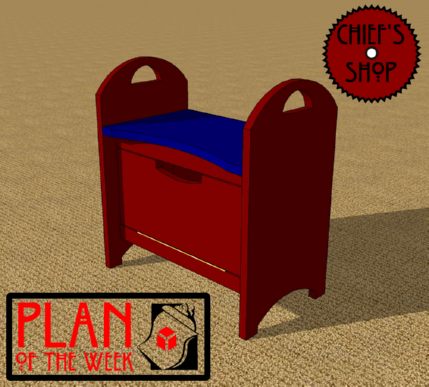 The Chief’s Shop Kids Activity Stool will take you at most a weekend to complete. It’s perfect for a playroom or bedroom and offers additional seating with room for storing toys or art supplies. Plus, the handles on the sides make the stool easy to move around. My usual tool suspects are needed to complete it – table saw, miter saw, jig saw, drill driver, and Kreg Jig.